the books keep getting better and better! the big battle is upon us! shilo ranch and the football team fight back! enjoyed this story of rage, revenge, and redemption. a good long listen, definitely worth a download. In Turning Point, the Ryman family faces a life altering decision - should we stay or should we go? The oldest and strongest emotion in man is fear, and the strongest kind of fear is fear of the unknown. Will Americans flee the urban centers, the proverbial golden hordes, for the countryside? Will it be safer than the cities? 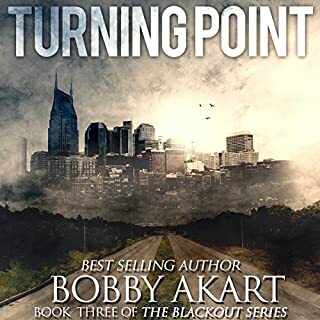 Turning Point will lead the Ryman family into a complex, inexplicable world where danger lurks around every bend. Bug in, or bug out? The Roman family have to make the decision that all prepper and fans of The Clash ponder.... Should I stay or should I go? A great ride as the Roman's discover what travelling in a post-apocalyptic world could be like. They meet other travelers, good and bad, but will they make it to Shiro Ranch? Another enjoyable listen. 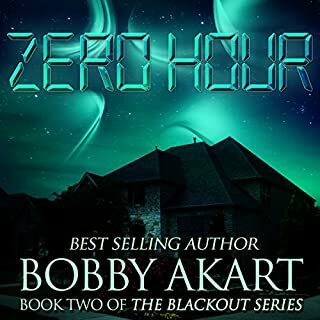 Zero Hour continues to follow the obstacles faced by Colton Ryman, his wife, Madison, and their teenage daughter, Alex. In 36 Hours, the Ryman family and the rest of the world was thrust into the darkness of a post-apocalyptic world. 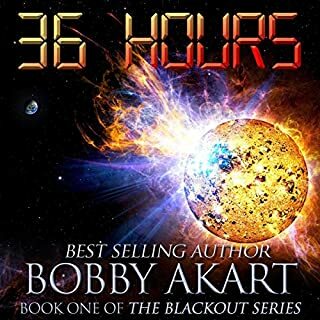 A catastrophic solar flare brought with it a blast of solar matter in the form of an EMP, leaving America in darkness. Another great installment in the series. A family is forced to become Preppers at the last minute due to an incoming solar flare. In this book, the family starts to experience the envy of their unprepared neighbours and less than scrupulous neighbourhood association! More great speculative fiction! 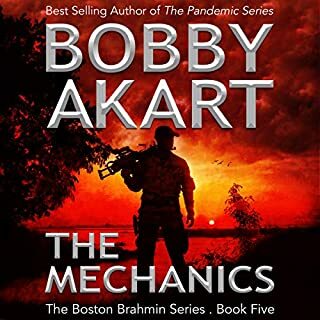 After listening to The Boston Brahmin Series, it's refreshing to listen to a preparedness fiction series about a family that doesn't have unlimited resources, and isn't already prepared. About a family like most, who are preparing at the last minute. 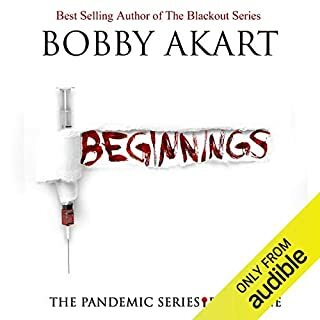 The first book in this series is a great start! Mom and daughter struggles to gather supplies for the coming emergency while dad struggles to get back to them. Very enjoyable. Another great listen! My only complaint is that this book seems to tie up some story lines that could have morphed into their own book in the series. Being that I love this series so much, it was a touch disappointing that these stories got wrapped up in a quick explanation, instead of in their own story. 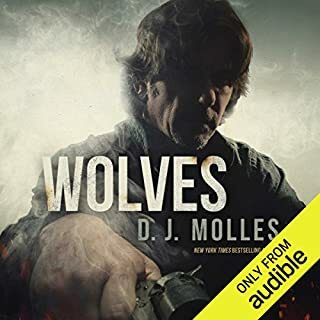 But all in all a great listen and a great series! 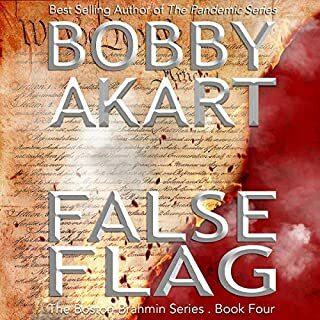 America has been crippled by a false flag, cyber-attack event and martial law has been implemented across the nation. A president, desperate to hold onto power, works in conjunction with the United Nations and uses the collapse event as a way to abolish the constitutional rights of Americans. It will take a committed group of patriots armed with strong survival skills and a desire for freedom to save the nation from tyranny. Fast paced, with action and intrigue. Sarge takes charge in his new position and the battle for freedom continues. well written and a blast to listen to! 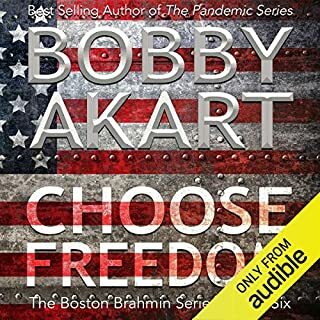 Choose Freedom!! The installment was great, But why end so soon! The Loyal Nine fight to defend their friends, family, and their way if life as the newly appointed authorities begin to trample the constitution. The tale of the grasshopper and the ant begins to unfold as the unprepared begin to covet what the prepared Loyal Nine have stored. One of the Nine receives a change in station. Another great listen! 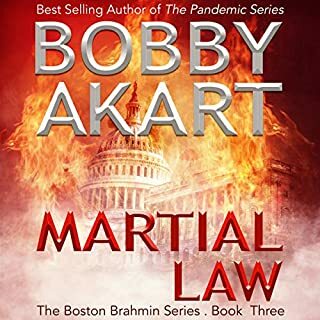 The story really starts to move in Martial Law. 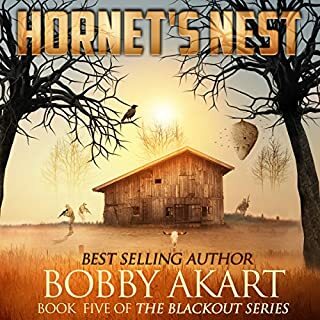 People are fighting to get back to their homes and loved ones, the Preppers swing into TEOTWAWKI mode, and the Loyal Nine start to suspect that the collapse isn't an event unrelated to their preparedness plans on behalf of their patron. You'll be itching to listen to the next book!